The Attached Ranch Home Neighborhood Of Brookhaven of East Cobb is a 55+ Active Adult Community. Spacious ranch homes with open floor plans, greatroom, gourmet kitchen, coffer ceilings, built-ins with attention to detail by Jim Chapman Communities. Most properties built between 2007 to 2013+. Living here you will be convenient to shopping in Kennesaw Town Center and Vinings. Home features and community amenities include All-brick and stone construction with inviting front porches, optional screened porch & bonus room with full batb, Roomy, vaulted ceilings & over-sized master suites, Beautiful heated pool, outdoor fireplace & National Association of Home builders award winning clubhouse with exercise room & kitchen. Gated with remote openers. Property is 100% fenced for security. The list price range for a property in Brookhaven Of East Cobb, at time of post, is between $264,900 to $364,635. There appears to be one-level condos that have between 2 to 4 bedrooms and 2 to 3 bathrooms. The average median selling price, at time of post, is $317,793.00 and takes, at time of post, 194 days on market. Where are these homes located? Located in the City of Kennesaw, 30144 just off of Chastain Rd. NW and near 575 and Bells Ferry Rd. NE. Abington Green is a subdivision of 53 homes+/- located in the City of Kennesaw, Cobb County GA 30144, between 75 and 575 just North of Chastain Road N.W. Homes built between 1986 to 1994. List prices range from $79,900 to 163,900. The average selling price, at time of post, for a 3 bedroom, 2.5 bathroom home is $124,639. At time of post, the HOA fees are $50.00 a year and there is not a community pool or tennis courts. Streets in the subdivision of Abington Green include Abington Walk, Hempstead Court, and Linwood Ct. Directions: 75 North to Exit 273 – Wade Green Rd, turn Left off the exit, Left on Shiloh Road, Left on Frey Road, 2nd Right into Abington Green Subdivision. Amberwood Creek is a Kennesaw GA Subdivision located in Cobb County GA 30152. Most homes built between 1998 to 2000 in the traditional style. The average list price for a home in Amberwood Creek is between $239,900 to $420,000. The average selling price, at time of post, for a 5 bedroom, 4.5 bathroom home is $324,265.00. Home Owner Association fees, at time of post, are $500.00 a year and include Club House, Playground, Swimming Pool, Tennis Lighted. Streets in the community of Amberwood Creek include Amberwood Creek Drive, Bretdale Run, Gretna Court, Mansfield Cove, Stef Land. Directions: I-75 NORTH TO LEFT ON BARRETT PKWY (#269). RIGHT ON STILESBORO ROAD. LEFT ON ACWORTH DUE WEST (AT LIGHT). RIGHT INTO AMBERWOOD CREEK SUBDIVISION. 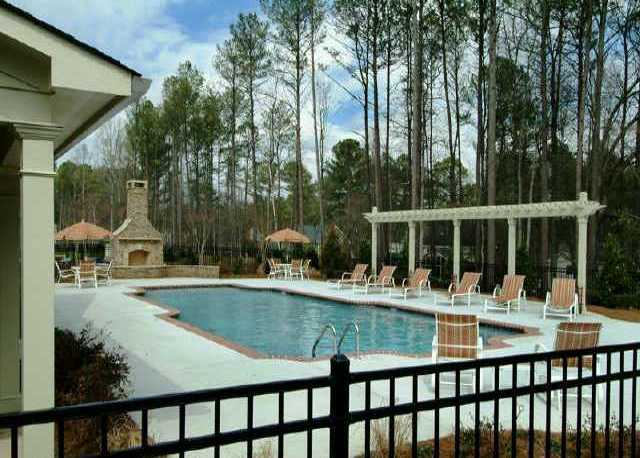 Parkside At Old Mountain is located in Cobb County, City of Kennesaw GA 30152. Estate Homes built between 2004 +. The average selling price for an estate home in the community, at time of post, is $1,686,250.00 for a 6 bedroom, 6 and 1 half bathroom home. List prices of homes range from 1 Million to 2.4 Million. Home owner association fees, at time of post, are $1,500.00 a year. The community does not have a community pool or tennis. Directions: Whitlock Ave West, right on Burnt Hickory. Rt on Old Mountain Rd. Left into Parkside OR I-75 to Barrett Pkwy West, Lt on Stilesboro, Rt on Old Mountain, Rt into Parkside. Located in West Cobb, Kennesaw Georgia has a great neighborhood of Homes, in the Hamilton Township Neighborhood. Built between 2000 to 2004+/-, the average price for a home with 5 bedrooms and 4 and 1 half bath is $337,670. at time of post. Amenities include a community swimming pool, tennis courts, playground and Club house for, at time of post, a Home Owners Association fee of $525.00 a year. Preserve At Creekside Homes In Kennesaw Georgia-Beautiful! The Preserve at Creekside is a beautiful community located in West Cobb County, City of Kennesaw 30152. Homes are New and built 2007+. The average sale price for a home in Preserve at Creekside for a 5 bedroom / 4 and a half bathroom is $539,600.00. The Home owners Association fees, at time of post, is $175.00 a year. LEFT ONTO PAUL SAMUEL. THE PRESERVE AT CREEKSIDE IS ON THE LEFT. STREETS IN THE COMMUNITY INCLUDE DAVIDSON FARM DRIVE AND DAVIDSON FARM LANE. Posted by Deborah Weiner | Discussion: Comments Off on Preserve At Creekside Homes In Kennesaw Georgia-Beautiful! Amenities of this community include, club house, playground, swimming pool, tennis. The styles of estate homes vary from traditional to European, French Provincial. Homes built between the years 1997 to 2007.
a 5 bedroom / 5 full bathrooms / 1 half bathroom. Prices range from the high $300’s to over 1.9 million. Cross over Cobb Parkway, Turn Right onto Stilesboro Road, Turn Left into Marietta Country Club.